"Dr. Salmassi is... a great, knowledgable, and caring doctor." "I absolutely love Dr. Salmassi...he has a lot of knowledge and experience. " THINK YOUNG. STAY YOUNG. FEEL HAPPY. start with smooth, beautiful and clear skin! 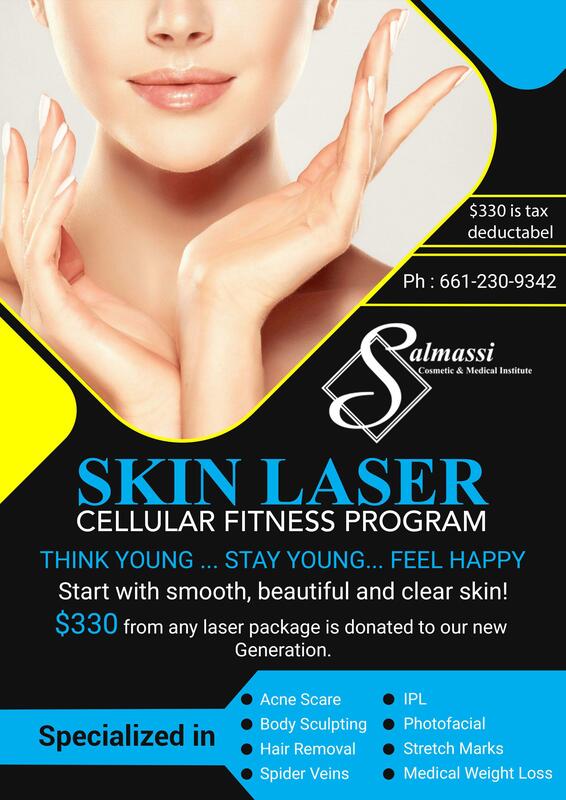 $330 from any laser package is donated to our new generation. If you’ve ever suffered from any of the above, Skin Laser Cellular Fitness Program is the natural procedure to rejuvenate your skin, improve ANY facial flaws, and restore a healthy, youthful complexion. This is a safe and highly-precise method of removing damaged skin while preserving and stimulating the healthy skin layers that lie underneath. And as our way of giving back to the community, a huge portion of your investment is immediately donated to the community to help the less privilege and our schooling system. Schedule your appointment today to find out how our innovative program can result in your skin being unbelievably smoother, firmer, and more youthful appearance. Take a step into your YOUNGER YOU Today! Dr. Sadegh Salmassi is an aesthetic specialist in Delano, California. With a commitment to treating each patient as if they were family, Dr. Salmassi offers a wide range of services to help people look and feel their best, such as weight loss, body sculpting, hair removal, and skin rejuvenation. Utilizing the latest technology, Dr. Salmassi offers diamond lipo laser, icon cynosure IPL, and the YAG laser to help patients achieve their best possible outcomes. Known for his friendly demeanor, Dr. Salmassi gives more time to his patients than any other physician in town. He limits the number of patients he sees each day, ensuring that he has plenty of time with each person. His patients are often with him for several hours, and he makes it a point to engage not just his patients, but their families as well. 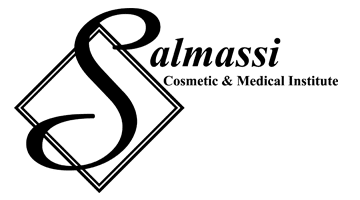 Dr. Salmassi has been in medicine ever since the 60’s. He attended Pahlavi University School of Medicine in Shiraz, Iran from 1966-1973 and held a rotating internship at Pahlavi University Affiliated Hospitals (also in Shiraz). He later moved to Chicago, Illinois and completed his residency in Combined Anatomical and Clinical Pathology at the University of Illinois. He holds medical licenses in several states: Illinois, Missouri, Kansas, and California. He’s also board certified by the American Board of Pathology in Anatomic and Clinical Pathology, and the American Board of General PRactice in General Medicine and Surgery. Dr. Salmassi enjoys helping his patients transform their lives and their bodies so they can look and feel wonderful in their skin. He speaks Farsi, Arabic, and English, and he serves many Hispanic farm workers as well as the broader Bakersfield, California, area. We want to make sure all patients feel cared for here at Dr. Salmassi's office. If you have any questions about your insurance coverage, please give our office a call. Thanks!